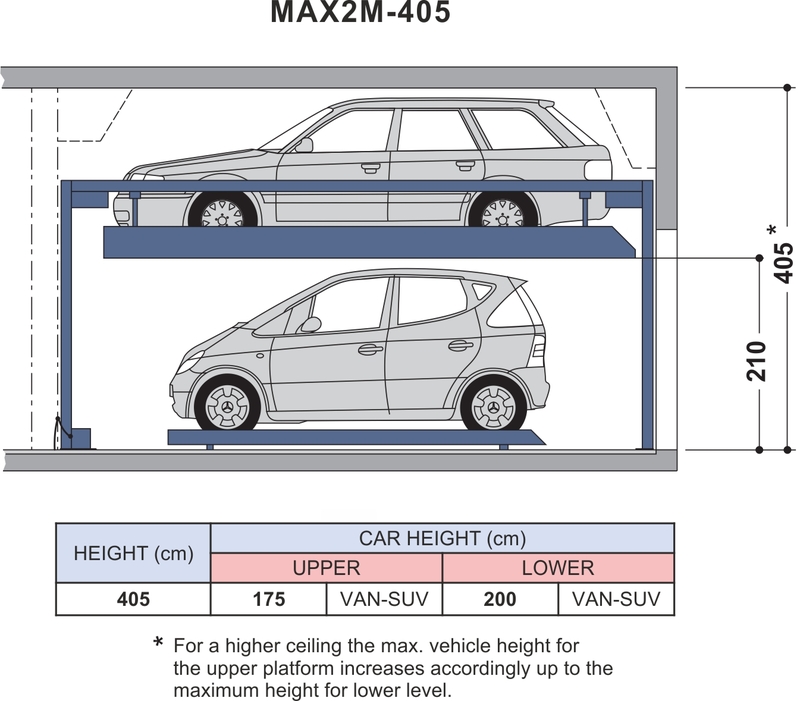 The MAX2M automated parking system does not require a pit. 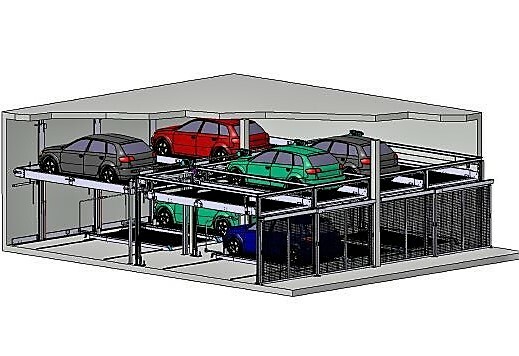 Two vehicles can be stowed on top of each other and the parking spaces can be moved vertically or horizontally. Thus 3 to 29 vehicles can be parked in the parking system. It can be combined with the other MAX products as an additional parking row. This eliminates the need for an additional tramline and the parking space can be used efficiently. The parking spaces can be selected by the central control element and brought into the desired position. In principle, the parking spaces can be selected flexibly, which allows independent parking. The entire plant is secured by gates that protect against theft and vandalism.